AKIPRESS.COM - Iran's president has warned Donald Trump against provoking the country, telling the US leader that "war with Iran is the mother of all wars", Sky News reports. In a televised speech, Hassan Rouhani told the American president: "Do not play with the lion's tail, you will regret it forever." Iran is facing increased US pressure and looming sanctions after Mr Trump's decision to pull out of the 2015 international deal meant to prevent Tehran from developing nuclear weapons. Washington has also been accused of posting propaganda on social media aimed at stirring up unrest in Iran. A review of the US State Department's Farsi-language Twitter account and its ShareAmerica website reveals a number of posts critical of Tehran over the last month. Addressing Iranian diplomats, Mr Rouhani said: "America should know that peace with Iran is the mother of all peace, and war with Iran is the mother of all wars. "You are not in a position to incite the Iranian nation against Iran's security and interests." 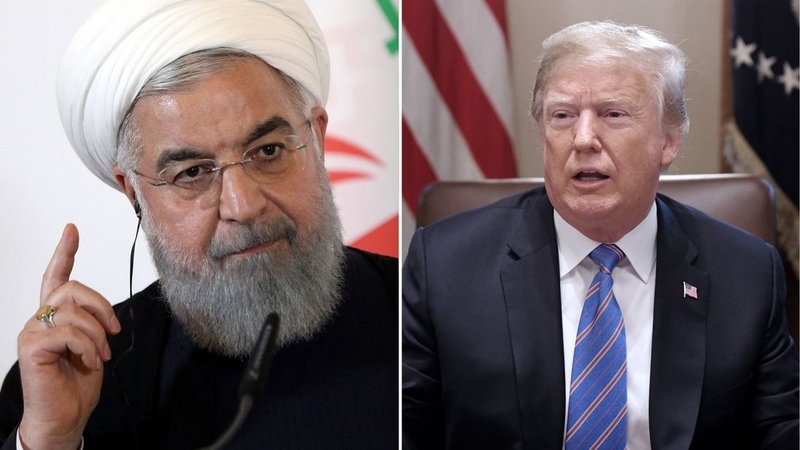 Mr Rouhani also scoffed at Mr Trump's threat to halt Iranian oil exports, saying: "Anyone who understands the rudiments of politics doesn't say 'we will stop Iran's oil exports'. "We have been the guarantor of the regional waterway's security throughout history." Mr Rouhani has suggested Iran may block Gulf oil exports if its own trade is disrupted, a proposal backed by the country's supreme leader Ayatollah Ali Khamenei. Iran's oil exports could fall by as much as two-thirds by the end of the year because of new US sanctions, putting oil markets under huge strain amid supply outages elsewhere.